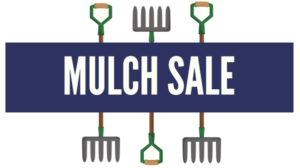 Our mulch fundraiser has ended for 2018-2019. A huge thank you to everyone who helped make it an incredible success! Your yard will appreciate it, and so will the Anderson High School Trojan Band! Please consider purchasing one of the items below to help support our band. Have questions? Of course you do. Please read our FAQ to learn how and when your mulch will be delivered to you, our fundraising goal, how your donation helps the band, and much more!